Amazing almost new home on over 1.25 acres with detached 27’X40′ RV Garage/Barn. Wonderful open floor plan with large kitchen that has staggered cherry cabinets with crown molding, beautiful counter tops & black stainless steel appliances. All bedrooms have walk in closets & master bath has gorgeous travertine walk in shower. Large inside laundry room & attached 2 car garage. Energy saving home with ceiling fans in all the rooms, tankless water heater, 3.5 ton high efficiency AC & LED lighting throughout. Bring your horses & animals and enjoy relaxing on your covered porch out back with endless possibilities. RV Garage/Barn has 30/50 amp, power & lighting with 16′ ceilings & a 14’X 14′ door that makes it perfect for all your toys. Amazing views! Directions: South on Cactus Forest, right on Dead Mans Gulch, left on Cholla, right on Peace, go down road and curve to the left, 2nd house on left. Approximate size: 54885.00 sq. ft. Please, send me more information on this property: MLS# 5911604 – $260,000 – 24438 E Peace Lane, Florence, AZ 85132. 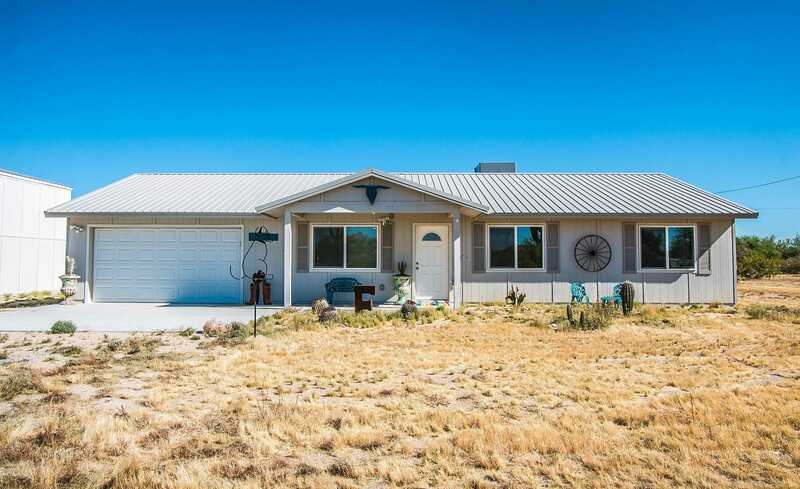 I would like to schedule a showing appointment for this property: MLS# 5911604 – $260,000 – 24438 E Peace Lane, Florence, AZ 85132.